Event held at St Paul’s Anglican Church (1130 Jervis Street) on November 23, 2017. Doors at 6:00pm. Music at 7:00pm. Taking place in a 120 year old historic building this musical event incorporates throat singing, Nintendo DS, pipe organ and electronic dance music. Why hold a cinematic rock/electronic dance music concert in a church? GHAZM is excited to incorporate the two-storey pipe organ in a venue with great acoustics. The band’s music already suggests solemnity, trance and ascension of consciousness. 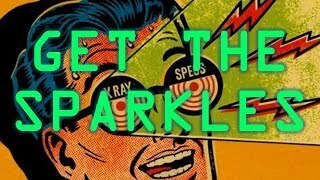 The merging of this sound with a building architecturally dedicated to the pursuit of mystery strikes them as appropriate. 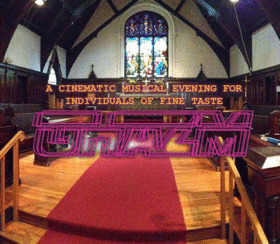 GHAZM is be a band without religious affiliation, however on November 23, they intend to create an immersive sensory framework for the individuals present to use as a tool for personal transcendence. Paul Patko (Opus Arise, Salt Thief) pilots his twin Nintendo DS configuration with Korg software. 25 year music veteran Ulysses Jason Newcomb plays acoustic guitar through an effects and amplification system. He provides an open framework for the other two musicians to further bathe audiences in an atmosphere that lives and breathes of its own accord. David Spidel (Bif Naked, The Living, Plastic Acid Orchestra) will join the trio on pipe organ and floor drum.